While the Cardinals only have one shot of getting a superstar for the forseeable future (see Bryce Harper, ignore Manny Machado), they are not limited in opportunities to upgrade. I am going to pretend like it’s a normal offseason that doesn’t feature two prominent superstars becoming available to all 30 teams, because, whether we like Harper or not, he isn’t entirely, a necessity. The team has issues. The trade market is flush with options that fit and can fill the Cardinals needs—third base, left handed relief pitching, and right field. These are positions that need to be addressed. While yes, it would be very disappointing for the Cardinals to miss out once again on a big name free agent we have to be ready with a plan if it does happen. Let’s get right into it. Since the Cardinals moved on from, gulp, Randy Choate, they’ve had trouble finding the correct lefty to put in the LOOGY role. They tried Kevin Siegrist before Matheny broke him, and Brett Cecil’s contract has been a hot mess. The Patron Pitcher, Tyler Lyons, never found the right footing following his knee surgery. It’s concerning when your best lefty on hand is Tyler Webb. So finding that left handed reliever for a right handed heavy bullpen is an absolute must. 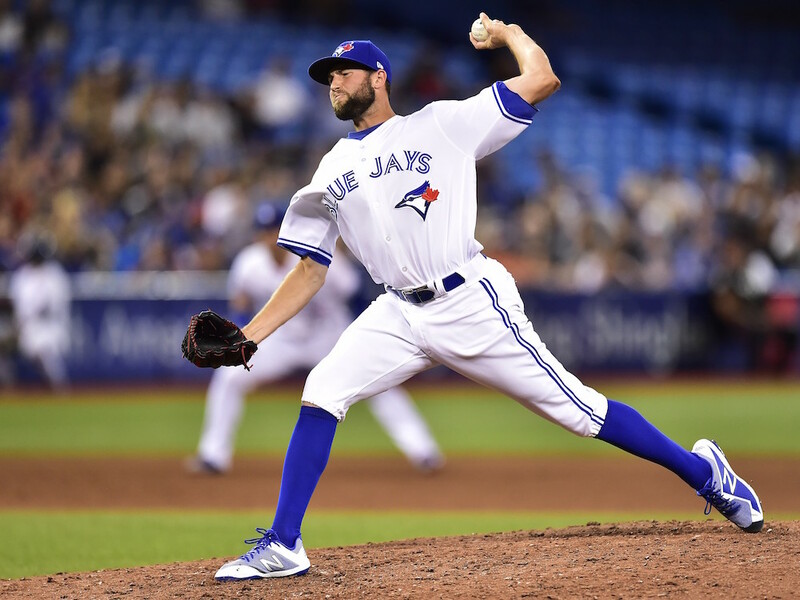 Im not gonna pretend like I do a good job explaining why we want certain pitchers, so read Rusty Groppel’s article here on the lefties if this doesn’t do enough for you. He got into the majors last season, but was just getting his feet wet then, enduring somewhat of a rough stint. This season though he put himself on the map with a successful 37 games. The splits on Mayza scream LOOGY (though he wouldn’t be entirely limited) and we know how the Cardinals like to deal with the Jays. He held lefties to a .317 SLG in 60 at bats, limiting them to weak contact. He finds his success through a two pitch attack plan, one that works quite well, involving his quick fastball that dials into the mid and high 90’s, and a nasty slider. He’s not necessarily the “proven asset” the Cardinals front office is probably targeting. He doesn’t have the track record, but he’s controllable and will be relatively cheaper than others. Smith is a WEAPON, not a LOOGY. Yes, he had Tommy John surgery and missed all of 2017 recovering. He came back in 2018 with a vengeance though, to pick up right where he left off, and then some. In his career he has always been a strikeout machine that was tough to score off of, outside of a brutal 2012 season w/ the Royals. That season is so bad because the Royals had so little pitching depth they had Smith in the rotation for 16 starts. Since then he’s been strictly a reliever. Never in his career has he had lower than 10.7 K/9 besides that season. There were 3 relief pitchers exactly to have a lower FIP than Smith in 2018: José Leclerc, Blake Treinen, and Edwin Diaz. That’s it. Even ahead of the uber talented Aroldis Chapman. So the bright side is that you’d be finding a reliever you can trust for the late inning role, who just so happens to dominate hitters on both sides of the plate. He utilizes a three pitch mix, primarily a fastball (93-94 mph) and slider (his K pitch), along with a curve. 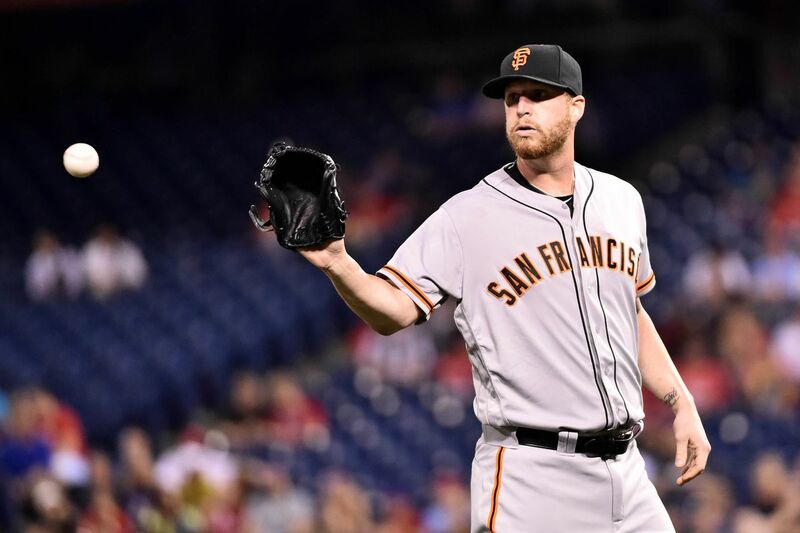 With this he did some serious damage for the Giants and for the first time got some closing experience. If the Cardinals acquired him it would be a massive upgrade, of course only guaranteed for a season though. Since he is a rental (plus the obvious talent) the Giants will put a massive asking price on him. Though his consistency, dominance, track record, and arsenal, puts him far above others like Tim Mayza, and Tony Sipp. Just an awful batting line right? Believe it or not, I can explain why we need this player. You just have to acknowledge that this season is not truly reflective of Lamb’s skills and abilities to produce. He was being held back by a shoulder injury that he eventually had surgery for. Just go back to 2017 and you can easily see why I want him. Of all left handed third basemen, he had the second highest wrc+ (133) against RHP. So for the most part, a vast majority of his plate appearances will be fine. He had a monster season, albeit somewhat positively influenced by playing in hitter friendly Arizona. Regardless, he still put up two seasons’ worth of very good offensive numbers from 2016-2017. I mention specifically left handed third basemen because in the situation of not getting Donaldson, I’d want Jedd Gyorko to have a platoon partner. Sure, Jedd has been inconsistent in his L/R splits at times, but he had .702 OPS vs right handers and a .919 OPS vs left handers. Jake Lamb cannot hit lefties, AT ALL. Once upon a time we thought Matt Adams was horrible, Jake Lamb is worse. For his career he has a .557 OPS versus lefties. This would rank second to last in all of baseball among qualifying batters (350 PA vs L) since 2014, just ahead of Pablo Sandoval. So the recipe for success is in there, and I would have faith that Mike Shildt can make a platoon work. As for his fielding work I don’t really have much to go on. According to the stats, he’s either been a really good third basemen at times, and others he’s been one of the worst. I don’t think he’ll be a liability in the field at least, and we shouldn’t have to worry about his throwing, since his shoulder surgery was on the left (throws right). So let’s not make any assumptions. You probably remember him as the guy the Brewers got for Zack Greinke. You also probably remember thinking his All Star season was a fluke. Then you also remember how his son tragically passed away, and he desperately needed a fresh start. That in and of itself to continue to produce after that shows immense strength so kudos to Jean. That breath of fresh air couldn’t have worked any better for him in Arizona. Its entirely possible Segura isn’t even available to us, due to his no trade clause. Why waive the clause to return to the NL Central? Why leave the team he was comfortable enough to sign an extension with? But adding him and moving DeJong to third base would help tremendously. 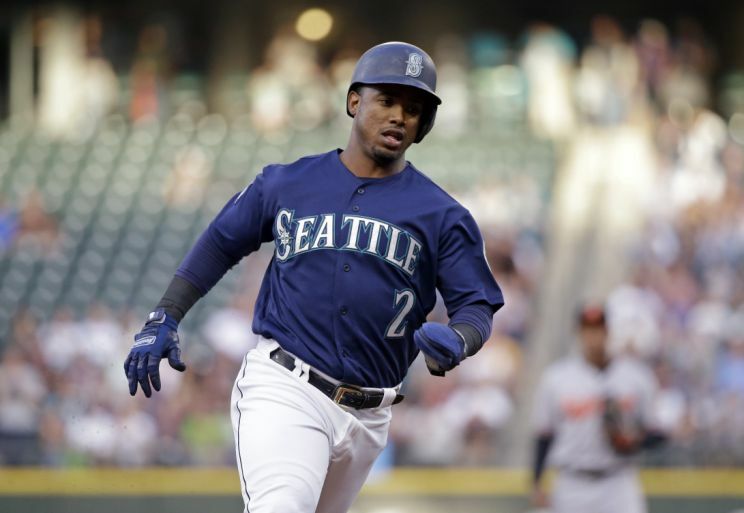 He’s also unique in that he comes already under control due to an extension signed with the Mariners, while still at a somewhat youthful age, getting his age 29-32 seasons. You can almost always count on Segura to get a base hit, leading the AL in singles, and leading MLB in hits (203) just two seasons ago with Arizona. Over the past three seasons he’s been the 7th most valuable shortstop in baseball, just behind Andrelton Simmons, Xander Bogaerts, and Carlos Correa. The bright side to Segura in the game today is that he makes contact. He had one of the lowest strikeout rates in 2018, and has always been that way in his career. He’ll give you a good at bat and battle his way on. Now the metrics say he hasn’t been a good base runner for the past two seasons (-0.5, 0.5 BSR scores). Yet, he’s still been able to steal 20 bases and his sprint speed rates are still up there. He has a good glove, something that shouldn’t go unnoticed. He’s a consistent presence in the infield that, paired with Kolten Wong, would make it difficult for anything to get through up the middle. Not to mention that he always stays healthy. Will either of these outfielders match the potential impact of Bryce Harper (hell no)? Will either of them be enough to get Dexter Fowler to waive his no trade clause? Are they good enough to justify meeting the asking price and taking a starting job away from Tyler O’Neill? Is it better than just adding a talented yet oft-injured Michael Brantley for cash? These are the questions to keep in mind. Yes, the same Peralta that was a minor league pitcher for the Cardinals, who got cut following shoulder surgery. The same one that worked at McDonalds to pay the bills before the Diamondbacks picked him up and converted him to the outfield. Now could we possibly bring him back to help us? How ironic, it would be. I don’t really have any strong feelings on Peralta, and he’s the trade target I want least on this list to be honest, through no fault of his own but mine. He’s had an up and down career, though never, ever, close to having a bad season. This season though, he put on a show, similar to his 2015 season (OPS+ 137). Paired with Goldschmidt he kept the Diamondbacks lineup going, with 30 HRs and 87 RBIs. For being a pitcher turned hitter he’s done his best and more to keep the K rates down (career 19.1% K rate) and have a modest walk rate (career 7.1% BB rate). He’s a big lefty power bat this lineup could use heavily. For outfielders from 2015-2018, he had the 19th highest SLG%, consistently putting his power on display. My problem is that he just doesn’t do quite enough to move the meter for me (reminds me too much of Michael Brantley). Nor do I see why Arizona would be looking to move him, as they still have to fill the hole left by AJ Pollock. At age 31 I fear we would just be buying high on his peak season. This is a player I have plenty of doubt about the availability of him. He’s controllable, productive, and talented, something the Mets don’t have a lot of these days. But the news that Noah Syndergaard was put on the market gives me the sense that Conforto would be as well, given the fact they hit free agency at the same time. If the reason isn’t clear as to why I would want Conforto, you need not worry. Just look at what he’s capable of (circa 2017). In an injury shortened season, he put up MVP level numbers in 109 games, a .939 OPS with a OPS+ 148. 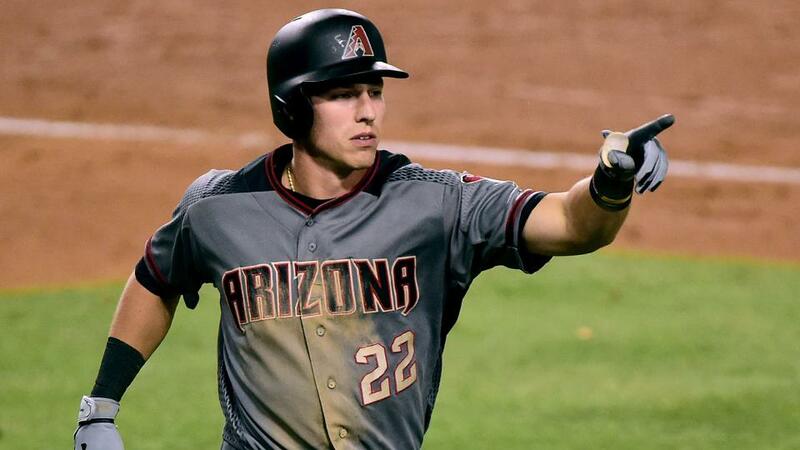 Of course, like Jake Lamb, he had to have shoulder surgery. Now while the 2018 season wasn’t as great, there were signs he was figuring things out again in the second half. Of those with at least 90 plate appearances in September, Conforto had the 9th best offensive performance in baseball (.981 OPS). He was tearing the cover off the ball again. 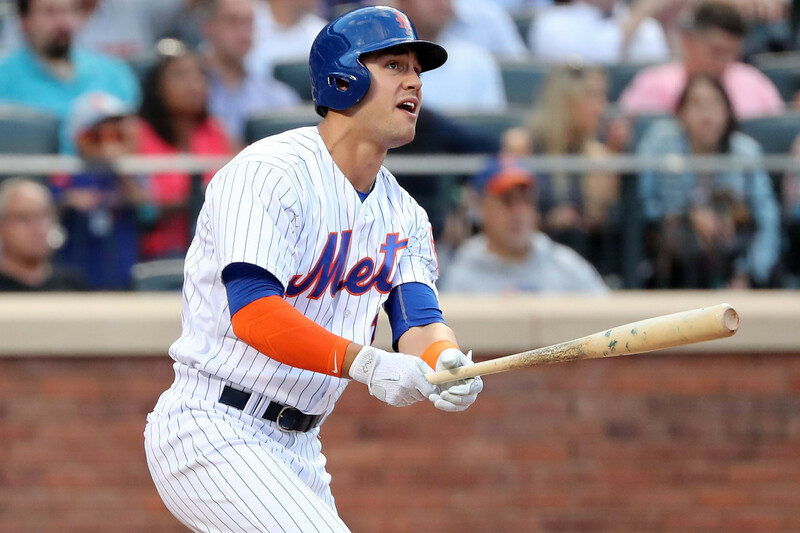 Conforto is a rarity, like Matt Carpenter, in that they show and possess such great amounts of power, and plate discipline that is hard to come by these days. Though like Carpenter he is fairly prone to the strikeout. His 13.2% BB rate from 2017-2018 is 17th among outfielders (33rd overall). Personally I feel very strongly that there is more to be unlocked with Conforto. That if he could just stay healthy big things could happen for him. Purely by coincidence is Greinke the third Diamondback on this list. He makes a rare appearance on here, since starting pitching isn’t “needed” for 2019, due to his salary. Only am I seriously considering a deal if Dexter Fowler is going the other way. I’m sticking to this, even if the DBacks don’t view a trade of him as needing to take on some of his salary or take some dead money back. What is there to say about Greinke? He’s top 10 easily for pitchers of the last decade. Some people don’t like him. To be fair not a lot people probably truly understand him. Everyone thinks he’s too old now, even though to this point he’s produced and produced. But yes, even with how good he is or isn’t, at some point Greinke stopped deserving the highest AAV in baseball. What I do know is that Greinke is durable and reliable. He is only one of six to throw at least 400 innings in the past two seasons. In those innings he has been the 12th most valuable pitcher according to fWAR (8.6), just ahead of Clayton Kershaw and behind Trevor Bauer. His 1.08 WHIP in 2018 was 9th best in baseball among qualifiers, utilizing his good command of the strike zone to keep batters from reaching base. Batters do not get a free pass often when they go up to bat against Zack Greinke, who possessed the 6th lowest walk rate. He is a bulldog on the mound and I love his fiery personality. 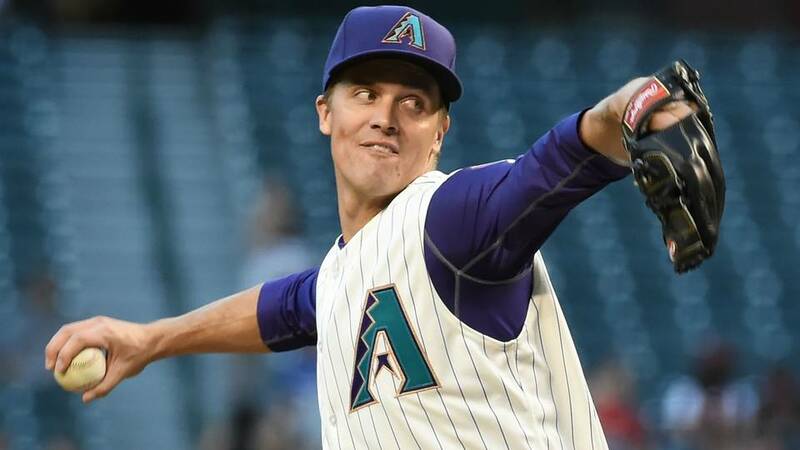 Now Father Time isn’t as likely to catch up with Greinke as most others, given his knowledge of the game and ability to adapt with decreasing velocity. Even if his talent diminished somewhat next season, the price wouldn’t be that bad if they take Fowler right? Just in case I don’t get around to writing about it. Make sure to @ me on Twitter (Graham_Stl) with any suggestions of players that might be of interest.